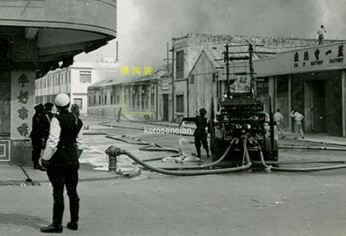 Aside from Hing Wah, a major player in the battery industry from the 1940s to the 1980s was Kai It Battery Factory, which also operated out of To Kwa Wan with its plant located at 15 Mok Cheong Street. While Hing Wah came from Canton, Kai It came from the Chiu Chow area but similar to Hing Wah, it first set up shop in HK in 1938 as the Japanese invaded the Guangdong province. 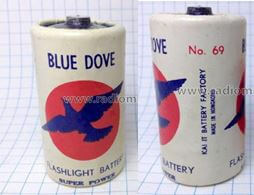 Its “Flying Bomb”, “Blue Dove” and “Rocket” brand of dry cell batteries competed with Hing Wah’s “Five Rams” both in the domestic market and internationally. Left: Chinese advert of Kai It in the late 1940s listing the addresses of its Chao-an head office, HK office and plants in Swatow and Hong Kong. 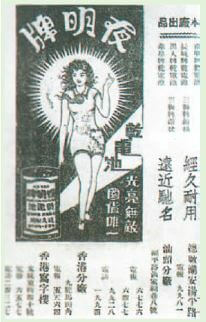 Right: Advert of “Bright Night” brand in the mainland after Kai-It became public private enterprise in 1955. 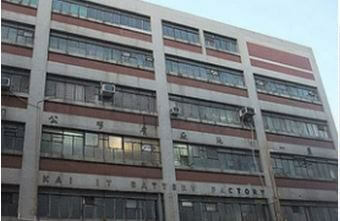 The original Kai It Battery Factory was founded in Chao-an (潮安) in the Chiu Chow region in 1926 by five businessmen including Hui Wing Shek (許永錫), Hui Pak Ching (許柏青) and Hui Shek Ching (許錫貞). It was not the first battery factory in the region as the Ng Hip Wo Battery Factory (吳協和) was established in Swatow in 1923 but Ng Hip Wo never took off and was shut down within three years. In 1930, Kai It expanded its capital base which enabled it to purchase equipment from HK in 1934. By 1937, Kai It was manufacturing 10 million batteries a year and employing over 300 workers in Chao-an. 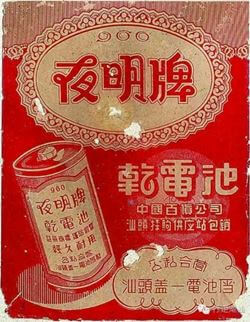 Its “Bright Night” (夜明) brand of batteries, which were priced at one third the price of imported brands such as Eveready, became very popular in the Chiu Chow region and the firm also marketed a number of other brands such as “Tiger”, “Flashlight” and “Great Wall”. When the Japanese attacked the Chiu Chow region in 1938, production suspended and Hui Wing-shek took a number of skilled workers with him to establish Kai It in Hong Kong. Its initial office in HK was located at 40 Bonham Strand East in the traditional Chinese trading district and its first factory was located at 6 Ma Tau Kok Road in Kowloon. After the War, the Chao-an plant resumed production and in 1948, production in the mainland was relocated to Swatow. 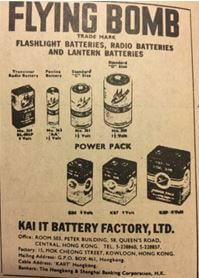 After the Communists took over in Swatow, Kai It became a public private enterprise in 1955 and became the state-owned Swatow Battery Factory (汕頭電池廠) in 1966, continuing to market the “Bright Night” brand. Meanwhile in HK, Kai It grew under the leadership of Hui Wing Ming (許永明, presumably a brother of Hui Wing-shek), marketing brands such as “Flying Bomb” and “Blue Dove” which it sold domestically and also exported to markets such as the US. In 1955, the firm started shipment of radio batteries. In 1960, the firm was incorporated and in the 1960s, the firm moved its plant from Ma Tau Kok Road (re-developed into Kai It Building and then re-developed into Metropolitan Rise in 2001 by Henderson Land) to nearby 15 Mok Cheong Street in To Kwa Wan and its office was moved to On Lok Yuen Building and later Peter Building in Central. Kai It Battery Factory as a firm was dissolved in 1991 and the Mok Cheong Street factory was converted to Kai It Industrial Building where CLP has a power substation. This article was first posted on 28th August 2017.